Home > Beauty tips > Botox: What is it, What are its uses, and What are the risks? Botox or the protein derived from the botulinium toxin is recently being used for several purposes. Originally used to smooth out wrinkles and crow’s feet as a dermal filler was recently approved as a treatment for migraines. With consideration for the botox prices in clinics worldwide there is an increase with the number of people both male and female seeking this wonder drug not just for wrinkles and migraines but for bruxism or teeth grinding while sleeping, excessive sweating and an increase for women who would want to wear high heels more comfortably. Botulism is a serious paralytic disease caused by the botulinum toxin. 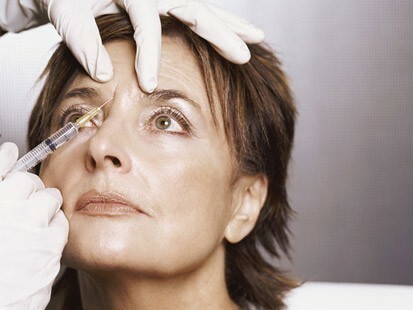 Even so, a purified form of botulinum toxin, commonly called Botox, is being used to effectively treat a variety of conditions. When used with medical supervision at appropriate dosages, treatment is extremely safe in most cases. The main benefit is that the purified botulinum toxin paralyzes a small portion of the skin or muscles in a localized area for effective treatment of health or cosmetic conditions. The most popular use for Botox is for its treatment to wrinkles. Men and women undeniably wants to look their best everyday and gaining confidence by looking their best is still the top reason why people loves this wonder drug. Nowadays there are formulations like botox cream which is said to have the same effect as the injected drug but will likely have a longer period of use before it will show the desired results compared to injected botox. Botox Cosmetic is often deemed as a more natural treatment than plastic surgery. It has been approved by the Food and Drug Administration for some cosmetic uses such as the diminishing of the appearance of wrinkles and frown lines between the eyebrows for a limited time period such as 5 months. It is injected under the skin in the affected area and relaxes the muscles associated with the wrinkled conditions. Many Hollywood stars use it to enhance beauty. Uncontrollable blinking is one medical condition successfully treated with the botulinum toxin. During treatment, the purified botulinum toxin is injected into the affected muscle to reduce or stop spasms and control blinking patterns. The treatment lasts 4-6 months so treatment must be repeated. Other conditions involving muscle spasms of the face or eyes have also been successfully treated since 1985. Study is underway to discover other medical uses. Recently, treating migraine headaches with the botulinum toxin has been approved by the Food and Drug Administration. While the previously mentioned treatments are generally safe and effective, there are some serious risks, some of which can be rarely life threatening. 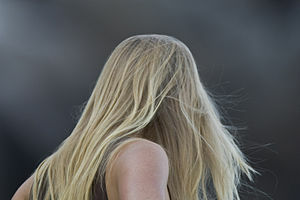 Muscle weakness, vision disturbances, drooping eyelids, and trouble breathing are just some of the possible side effects that may be experienced. Allergic reactions are also rarely possible and may include: asthma, wheezing, dizziness, fainting, itching, hives, or rashes. Other mild and treatable reactions can occur. It must be noted, however, that even though there is a potential for adverse side effects, they are rare since the dosage used in treatment is usually quite small and localized to one part of the body, unlikely to affect the rest of the body.